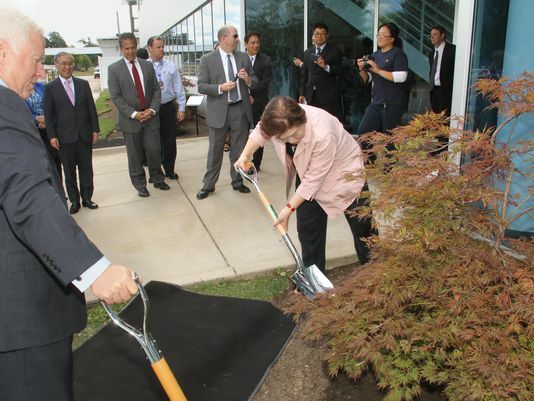 Dignitaries from two nations attended a tree planting Monday that marked the official groundbreaking for a $52.4 million expansion project at Thai Summit America in Howell. 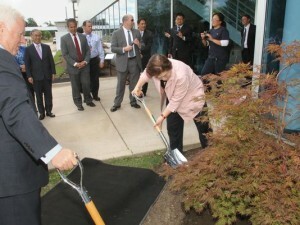 U.S. Rep. Mike Bishop, R-Rochester, and Howell Mayor Nick Proctor joined with Thai Summit representatives and officials from the Thai embassy in planting two trees outside the company’s plant on McPherson Drive. Thai Summit Group founding President Somporn Juangroongruangkit and state Rep. Hank Vaupel, R-Handy Township, were among those also in attendance. The expansion, part of a global series of projects, will add new, high-speed metal-stamping lines at the Howell site. “It’s good news for the company, it’s good news for our employees, it’s good news for the community and it’s good news for our customers,” company Vice President John Ruhman said. 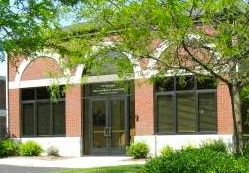 The facility provides stamped aluminum and steel parts for the global automotive industry. The Howell plants provides parts for Ford Mustangs and F-150 pickup trucks as well as for Jeep products and Freightliner trucks. As part of the expansion, the company is adding 50 new jobs from administrative positions to die finishers and machine technicians. Job information is available through the careers section on the company website www.thaisummit.us.